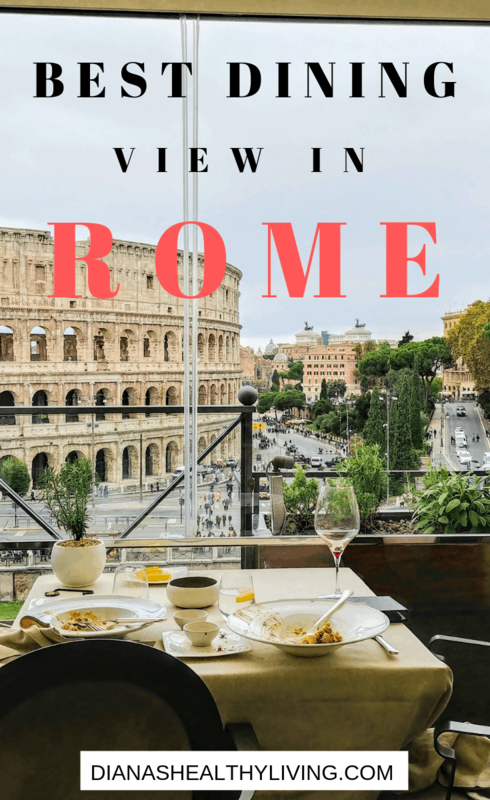 One of the highlights of our visit to Rome was the fabulous lunch with the most amazing views at Aroma Restaurant. 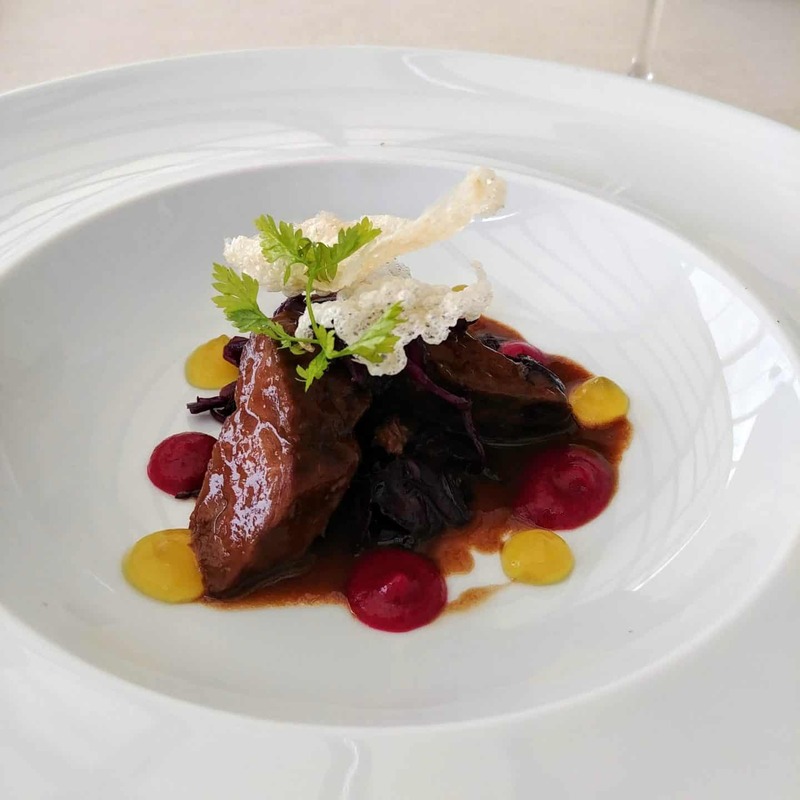 Perched atop a rooftop terrace in the hotel Palazzo Manfredi, this unique restaurant has quite a reputation, not only for its incredible views but most of all the Michelin- starred cuisine. 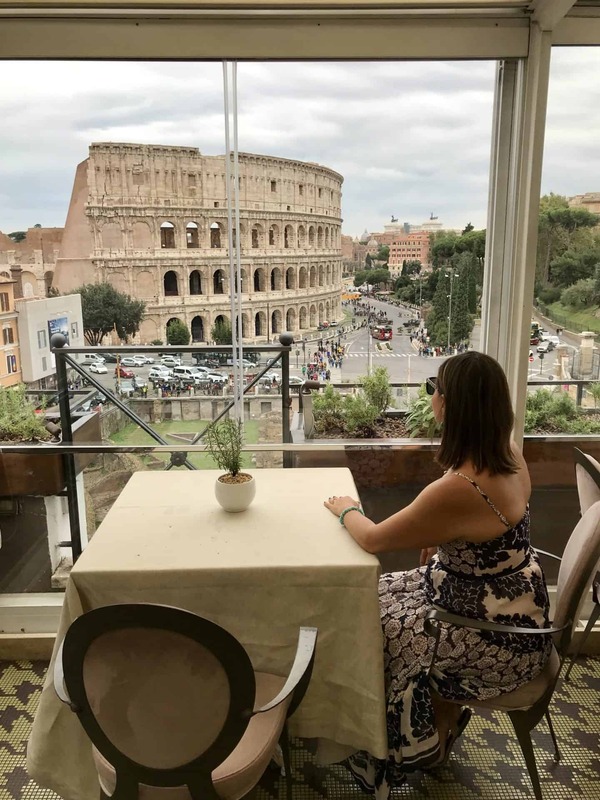 First, let’s talk about the insane view, the Hotel Palazzo Manfredi, a 7th Century Villa, was built on the former site of barracks for gladiators! We took the tiny elevator lift up to the top floor, stepped onto the terrace and witnessed what looked like a scene from a movie. 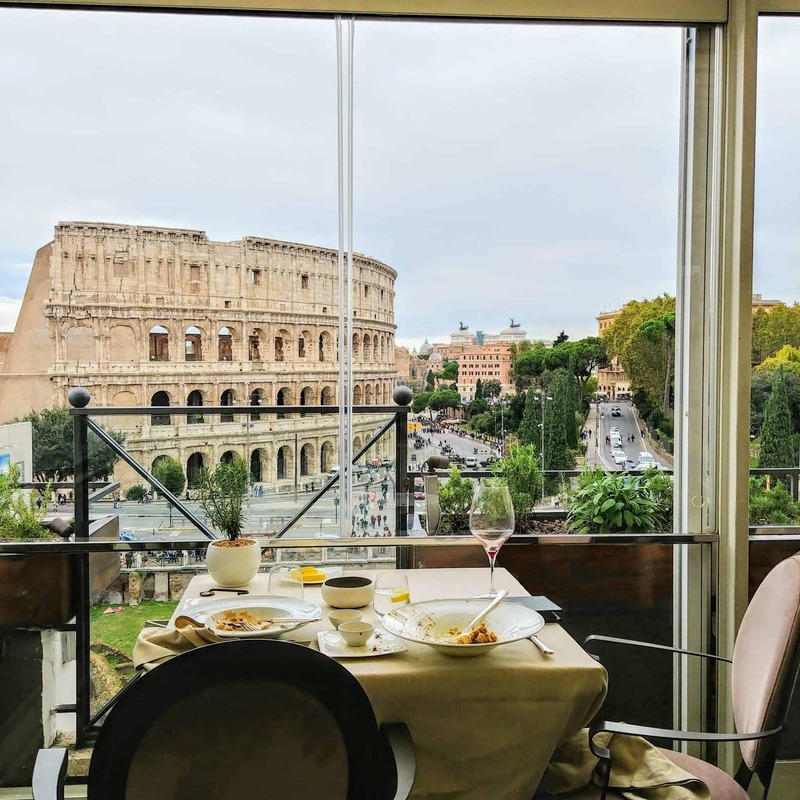 We have been told no other restaurant in Rome has a view to match….. It is mesmerizing. The terrace is open air when the weather permits and glassed in when conditions aren’t as favourable. The Roman Coliseum, just a 5-minute walk away, is the star of the show but you can also see the done of St. Peter’s Basilica and the busy street below. Now the food. 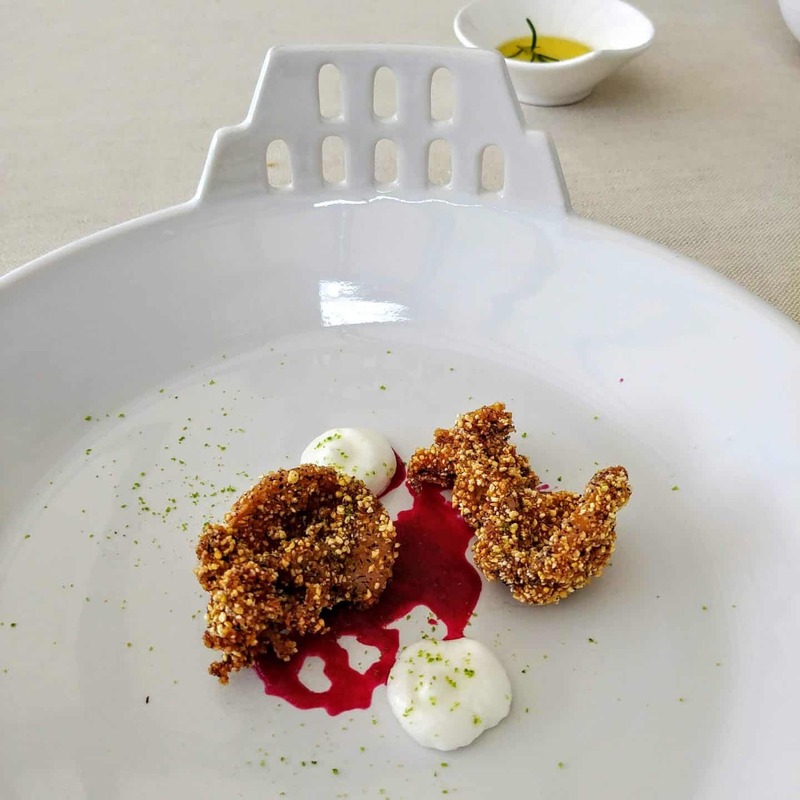 Head Chef Giuseppe Dilorio has made this restaurant a Michelin starred gem in Rome. 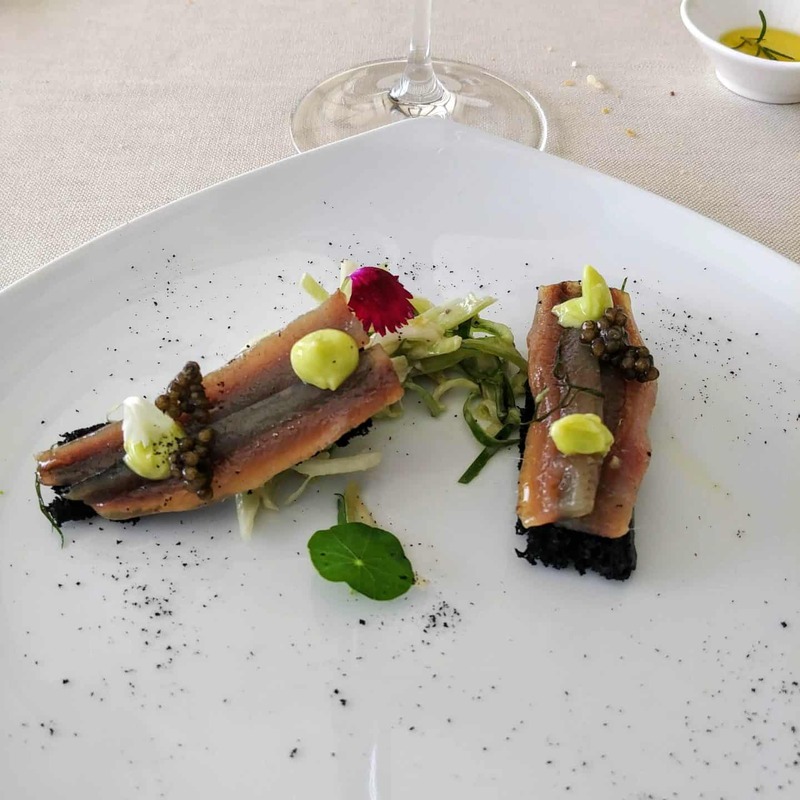 The menu here is very unique, dishes are crafted from the finest local ingredients in true Roman tradition but definitely in a modern way. Reading the menu is like listening to a symphony of fine musicians. 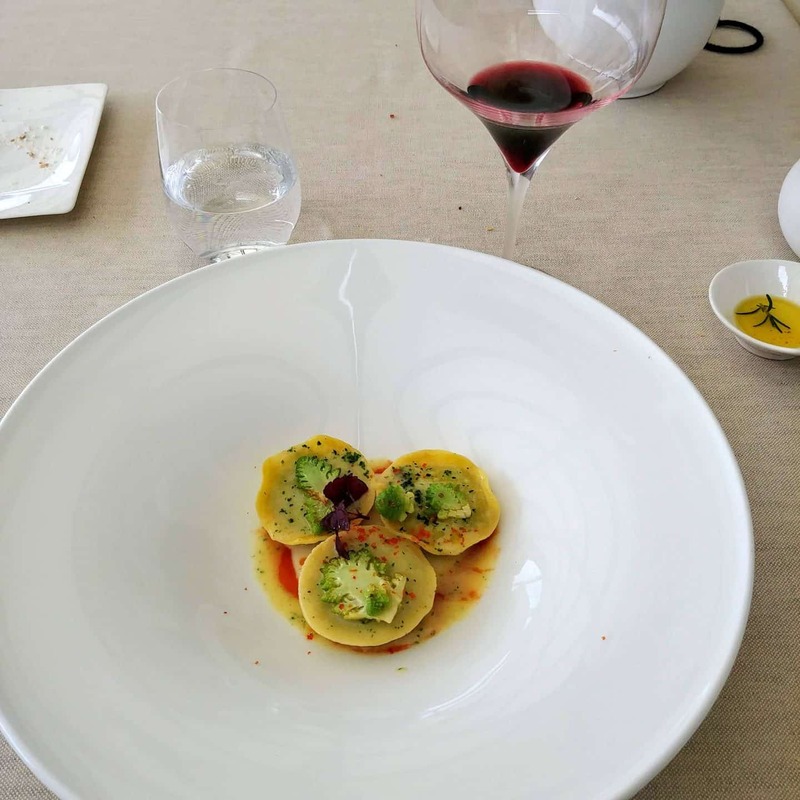 The classic dishes you might think of in Italy are elevated to another level within intriguing combinations. We decided on the Chef’s tasting menu where six courses are created by the chef and his team. 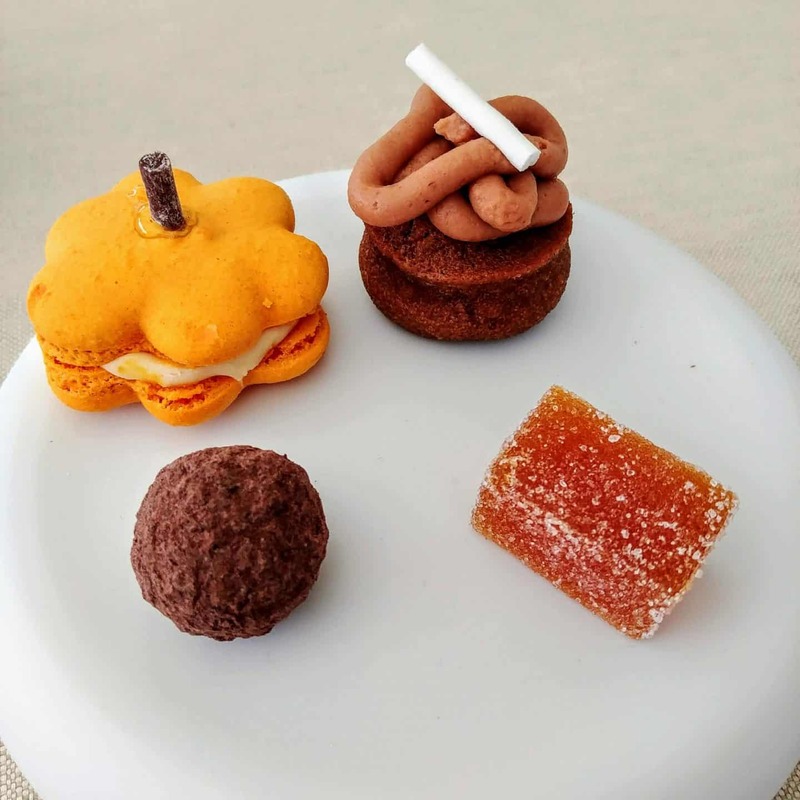 We have gone with the tasting menu at other restaurants before and were so impressed and it offers a way of experiencing new dishes and ingredients. 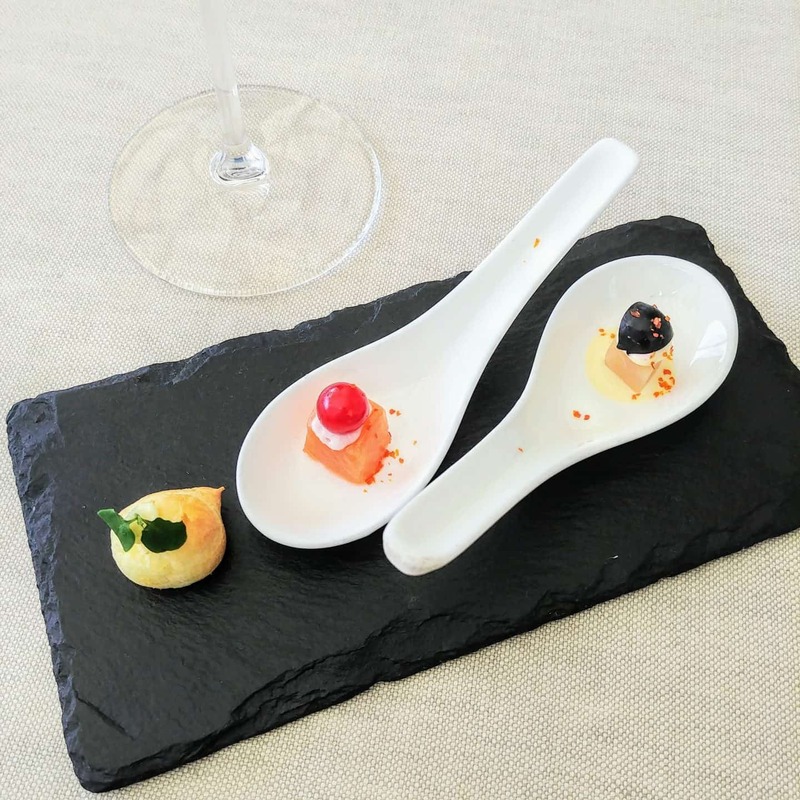 Preparation and presentation are above and beyond what you would expect from a five-star restaurant. The ingredients are at their best and the careful preparation makes each dish so intense. The lunch (more like a theatre food show) begins ….and ends with impeccable but casual service. Staff harmoniously overlap their duties and do not miss a beat. 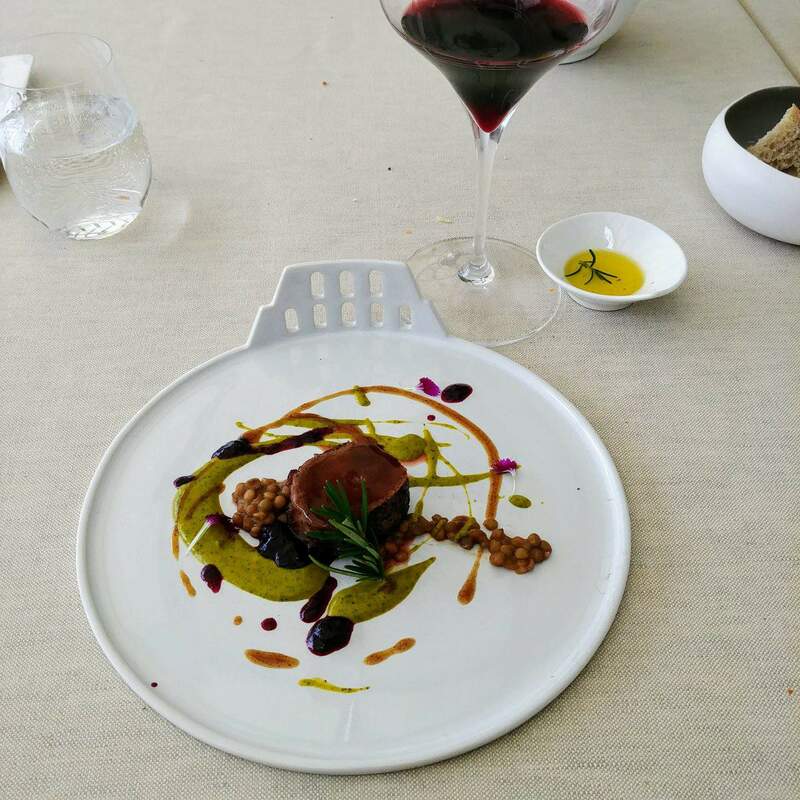 Though it ’s intimate dining area with only 28 seats, all attention is on the incredible view of the Coliseum …until the first dish arrives which resembles a work of art. Trying to describe the intense flavours is impossible, it just must be tasted yourself. All 6 courses were absolutely outstanding in preparation and presentation but unlike anything we have ever experienced. Pasta is the obvious star, mostly because …well…we’re in Rome, we all love pasta and this city is well known for amazing pasta dishes, like my favourite of all time, cacio e pepe! 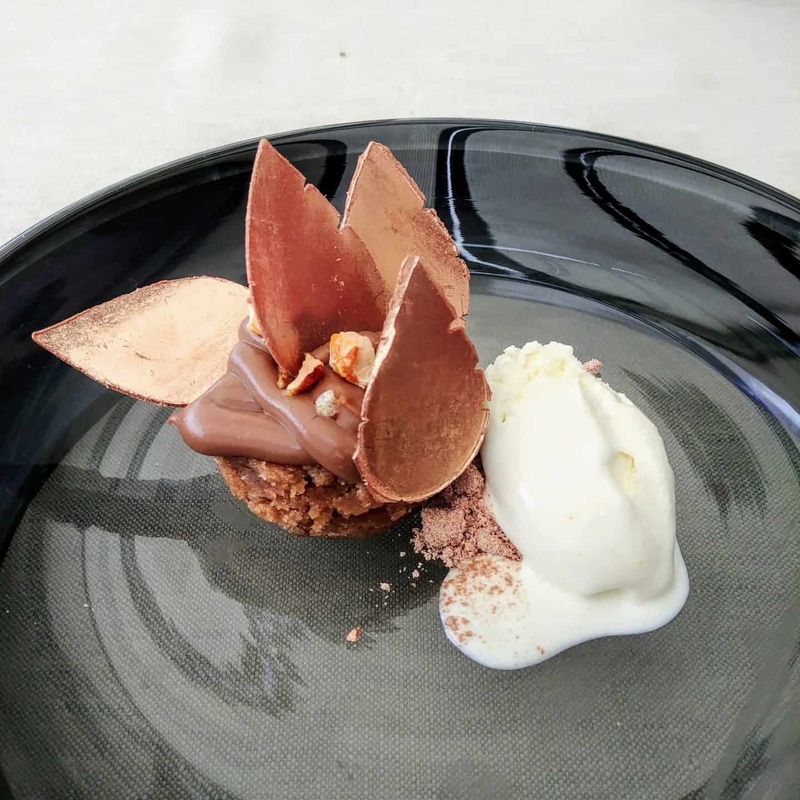 Equally as addictive as the pasta, the homemade bread, imaginative main courses and beautiful desserts. Aroma restaurant is complete in every way. The chef’s mastery is obvious, service is impeccable and it’s all matched with that amazing view. 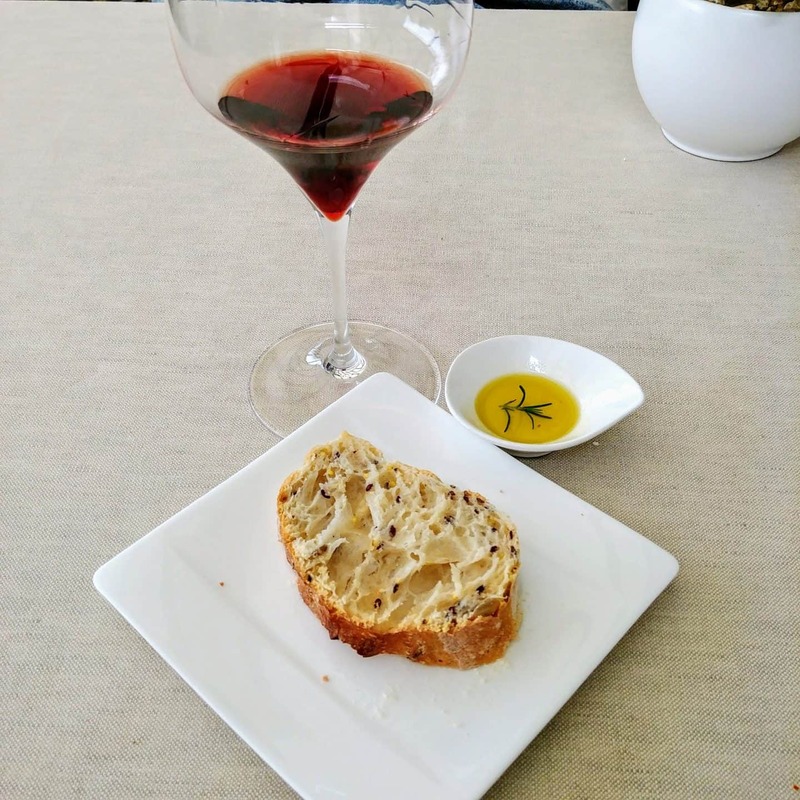 When in Rome why not experience the very best the city has to offer and treat yourself to one of the most memorable culinary theatre show you will ever find! Sincere thanks to Chef Di Lorio and his team at Aroma for a truly incredible dining experience.